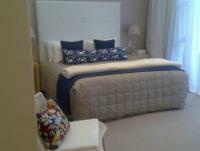 Isango Gate is a serene escape situated in the quiet suburb of Summerstrand, Port Elizabeth. Originally built in the early 1900's as a residence for a jeweller, it has since been transformed into a sophisticated boutique hotel. Located on the doorstep of one of the city’s most pristine beaches, the African Zen gardens and calm atmosphere set the scene for a perfect refuge from everyday life. Enjoy drinks overlooking the tranquil infinity pool at the The Ndlovu Sinazo Bar or a gourmet South African meal at The Penda Pendu restaurant. Each of the 10 suites are tastefully decorated and equipped with Wifi and eight have private balconies and sea views. The Mvumelwano conferencing facility, with state of the art technology, can seat up to 50 guests. Tailor made packages for corporate, team building or leisure use can be created. Bespoke events such as weddings, high tea, exclusive dinners and cocktail functions can also be arranged. The hotel caters for up to 40 guests in the main dining area, 150 guests in the main dining area and deck and 20 guests in the bar. An exclusive meeting room is available for small business meetings and caters for up to 8 guests. The Isango Gate Spa offers the perfect place to escape and concentrate on your health, beauty and relaxation needs. Choose to enjoy a deluxe jacuzzi, have your muscles massaged or rid your body of toxins in the rasul. You can also opt to work out whilst enjoying spectacular views of the ocean in the well-equipped gym. "This was one of my favourite resorts of the ten you booked for us, room was beautiful, the staff were fantastic and the facilities immaculate with a wonderful breakfast each morning." Travel towards the beachfront which is Marine Drive. Enjoy our ocean views on the left whilst passing the ascending avenues. Between 10th and 11th Avenue you will see Scarborough Street. Turn up this quaint road and you will immediately see Isango Gate on your left hand side. Our stunning hotel awaits to pamper you.